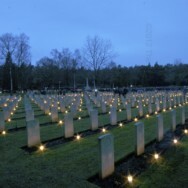 Every Christmas Eve, children from the town of Holten, the Netherlands, gather to place a candle of every grave at Holten Canadian War Cemetery. 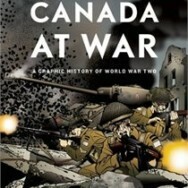 There's a great new book that would make a good introduction to older students on Canada's role in World War Two. Entitled "Canada at War - A Pictorial History of World War Two", it's written by Paul Keery and illustrated by Michael Watt, D&M Publishers Inc.